Confession: I still have to sneak vegetables onto my husband’s plate. 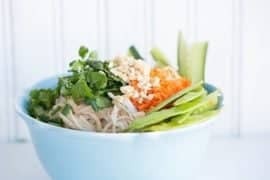 Perhaps sneak isn’t the right word, but a little cough clearing at the table and a raised eyebrow towards either the night’s hot vegetable offering or chopped veggie plate usually occurs during dinnertime. 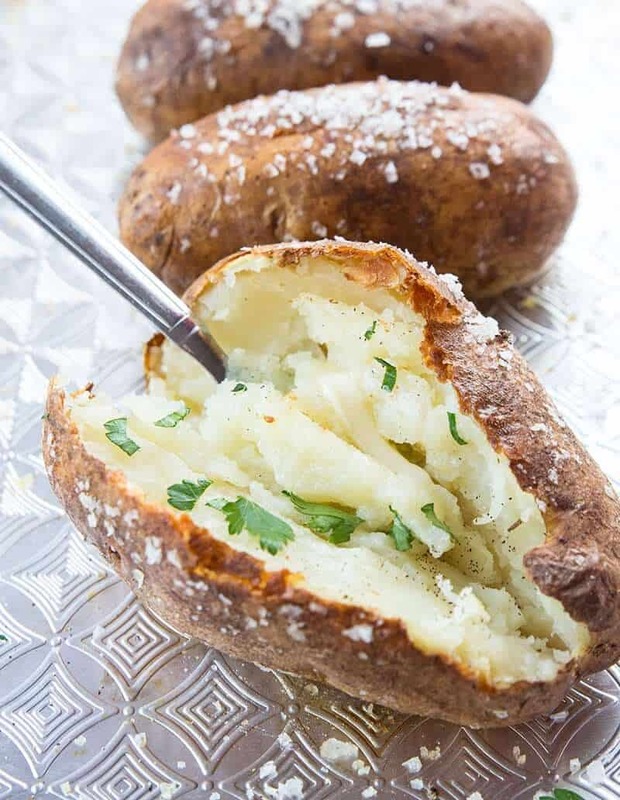 He can’t help it, he’s a meat and potatoes man, through and through. 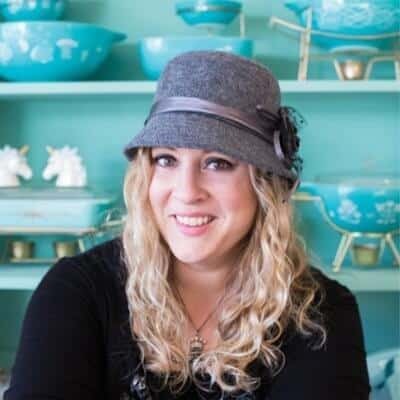 As you all know – or are just finding out!- I am a member of the #CatelliFamilies program and I’ll be posting tons of delicious recipes and sharing newofferings from Catelli throughout the year! 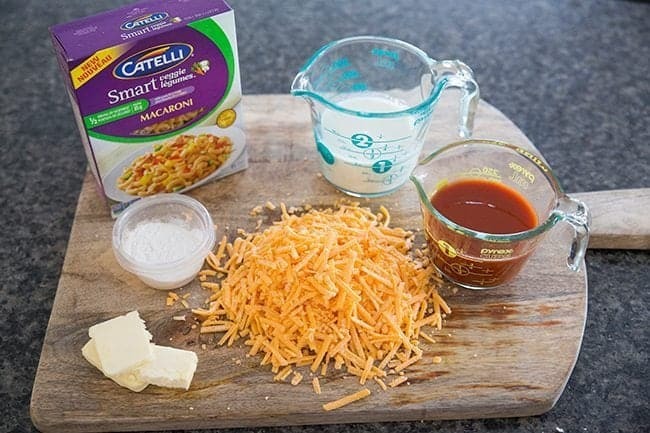 When it came time to pair up a macaroni dish withCatelli’s newest pasta innovation, Smart Veggie, I instantly knew that it was going to be my Mother in law’s macaroni from my husband’s childhood. He doesn’t have many dishes that he loves this feverently and it’s surprising since it’s full of a nice hidden source of vegetables: tomato/vegetable juice. And what’s great about pairing this dish with Catelli Smart Veggie is there is an added benefit of a half serving of veggies too – we’re just upping the veggie count with this recipe! 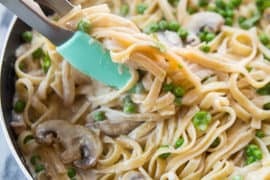 I can see now why my mother in law made this often when my husband was small; it’s carbs, protein and that hidden vegetable that she must have tried oh-so-hard to constantly get into my husband when he was a wily youngster. 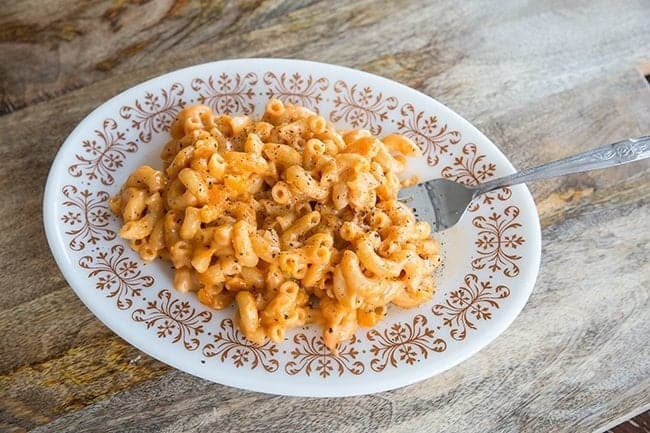 Tomatoes and mac n’ cheese are one of my fondest childhood memories as well. My aunt taught me how to take my Grandma’s canned tomatoes and mix them into a nice cheesy pasta. 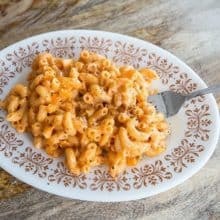 Those canned tomatoes tasted like the best that summertime had to offer and to this day, there is nothing I love more than a simple mac n’ cheese with canned tomatoes mixed in. 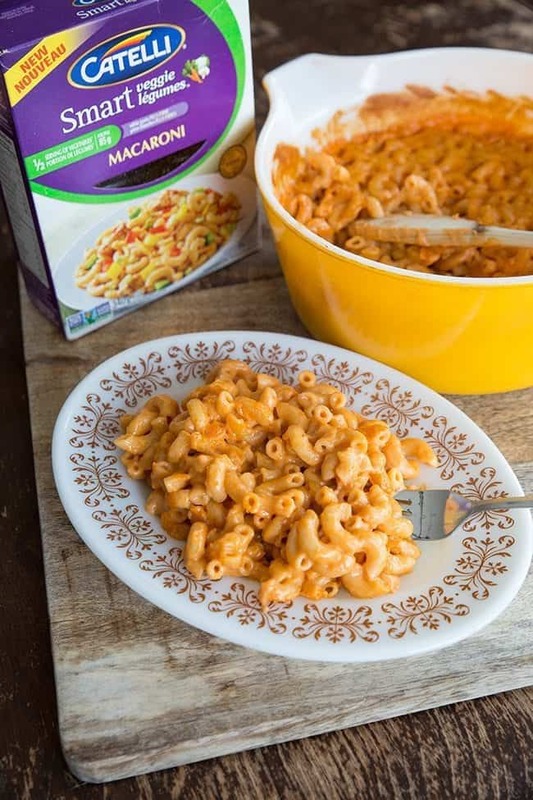 This pasta however, has the added bonus of no “chunks” for picky eaters (aka our children) yet you still have that amazing tomato flavor. Pair that with the Smart Veggie macaroni that has ½ serving of vegetables for every 85 grams? Winner winner vegetable mac n’ cheese for dinner! The best part is that the new pasta tastes like a fabulous white pasta which, let’s face it, is the best thing for mac n’ cheese. It’s also high in fiber along with the hidden cauliflower and carrots, which makes it an even better choice. This is a creamy, decadent vegetable mac n’ cheese with tons of sauce. You bake it off in the oven, without a lid. I just wanted to show you my pretty Pyrex lid in this photo, that’s all. 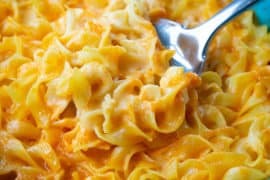 If you are like me, top this with canned tomatoes (homemade are the best but your favorite canned version will do as well) for the best mac n’ cheese that’s loaded with veggies. For the kids, leave it plain. They’ll never know what’s in there, and we’ll never tell them. 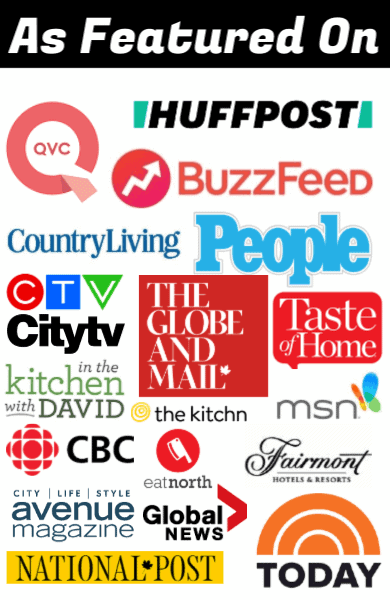 For those of you that love to save money (and who doesn’t) Catelli has partnered with Checkout 51, a website for Canadians that helps them save money when purchasing the brands they love. Click here to save money on Catelli Smart Veggie! Delicious mac n' cheese with lots of hidden vegetables! Cook the pasta according to the package directions to â€œfirmâ€. Rinse and place in a large 2-quart casserole dish. In a medium saucepan over medium heat, melt the butter. Whisk in the flour until combined. Slowly add the milk, whisking non-stop until you have a nice creamy white sauce. Whisk in the tomato sauce, then add the cheese. Cook, stirring constantly, until the sauce thickens and all the cheese has melted in approximately 5-6 minutes. 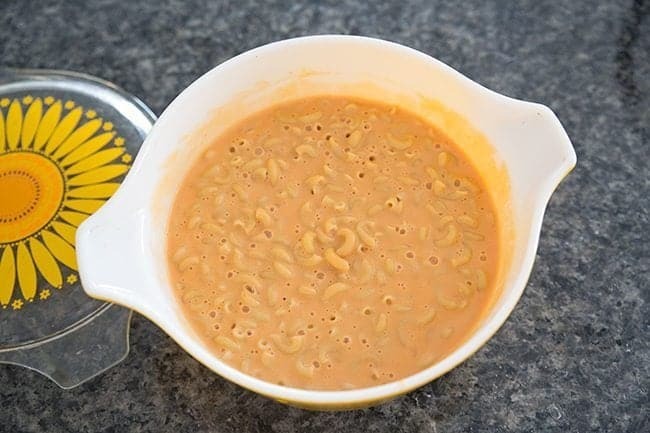 Pour over the macaroni and stir to combine. Cook uncovered in the oven for 20-25 minutes until the top starts to crisp up. Remove, cool slightly and serve. This can easily be doubled to feed a crowd or simply to ensure that you have leftovers the next day!